The Legend of Zelda's open-world, non-linear gameplay, plus its intentionally vague (and sometimes infuriating) "hints" scattered throughout the games led to a constant rumor mill about the series. In that spirit, let's talk down some of the more persistent — and 100% false — rumors about Link's wacky ventures, shall we? The Legend of Zelda II: Adventure of Link is an oddball anomaly from the early part of the series for many reasons, not the least for the characters you meet. One that sticks out in particular is named "ERROR." His odd name has made players wonder for years whether it was an Engrish mistranslation, or some sort of glitch in the game's code. After all, his name is ERROR — if that's not a big ol' clue, what is? As it runs out, however, his name is completely intentional, and another character in the game has a mistranslated name that makes his seem more intentional if not sensible. See, later in the game, you encounter another character named "Bagu." This is actually a Romanization of the Japanese word for "bug." Like, a computer bug. 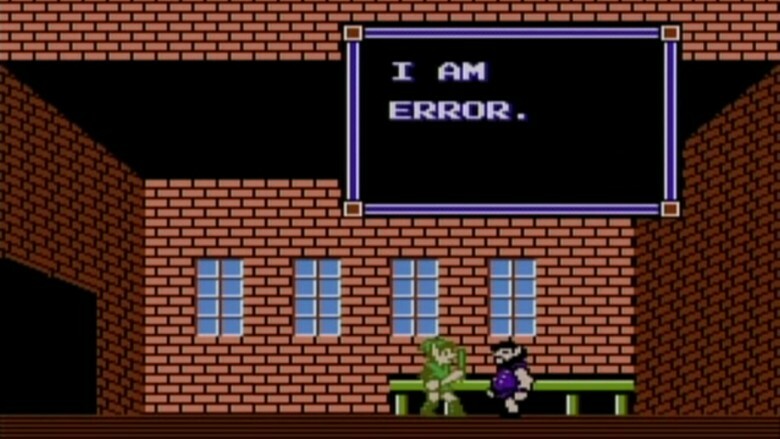 So originally there was a character named "BUG" and another called "ERROR," because Nintendo's got jokes. It's probably not great programming etiquette to have in-game dialog that resembles an error message, but we're sure any lingering questions about the character will be answered in the sequel, Legend of Zelda 404. The Legend Of Zelda: Ocarina of Time is one of the best Nintendo 64 games that doesn't star Mario or James Bond, and being released during the AOL/Netscape days of 1998, was the first to have many elaborate internet conspiracies published about it. One in particular involved a character known as the "Running Man," who is actually a recurring character from the SNES game Link to the Past. He's a particularly infuriating character because no matter what you do, he always beats you by exactly one second. He's programmed to win, no matter how fast you are. The only thing you have a chance to win in this mini-game is proof of your fastest run, which will be recorded at your house. Regardless, a lot of speculation has went into figuring out how to overcome him, whether through teleporting, traveling through time or various cheats. Sounds a bit desperate, but ok. 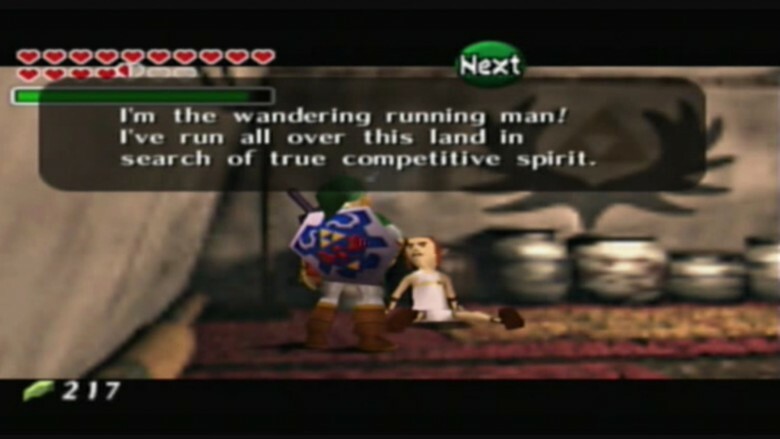 In 2009, some YouTube user loaded a video claiming he had overcome the Running Man through accomplishing a time travel stunt that placed him at the end of the race one second before he started it, because that is a sort of thing that makes sense in the Zelda universe. Turns out, both the video and uploader are full of crap — another user uploaded a video proving that the "you beat me" text the Running Man supposedly says doesn't even appear in the game code. We have two conclusions here: you can not beat Mr. Man, and the mythbuster who uploaded the correct code is the nerdiest nerd to ever nerd. 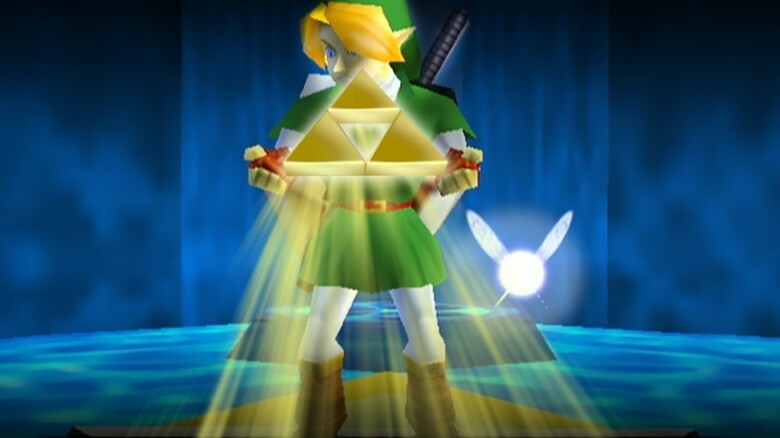 Ocarina of Time is one of the few Zelda games where you don't get access to the Triforce, the magical MacGuffin that runs the series. Nevertheless, people keep claiming they found it, and many use increasingly impressive video and photoshop tools (or they get lazy and point to demo footage of the Triforce that didn't make the final cut) to pretend-prove they did. Surely, someone along the way must have insisted their uncle that worked at Nintendo gave it to them. The most bizarre and insistent conspiracy theory about this was spread by a fan named "Ariana Almandoz," who claimed they found a special song to be played on the titular ocarina called the "Overture Of Sages." This occurred over an increasingly bizarre email exchange back in the dial-up era, where she included impressive-for-the-time (but still fake) screenshots for proof. Hey you had to get your pre-MySpace internet fame however you could — just ask whoever made the Hampster Dance. This particular Ocarina of Time hoax — one that literally invented an entire dungeon out of whole cloth — actually got a bit of academic cred, as it was analyzed by University of Southern California Communication Studies professor Henry Jenkins, via testimony by the hoax creator Kristina Drzaic. She details her experience in Zelda forums and her own bizarre attempt of fame that, despite herself, became an entire legend within the game lore. "What was it about my invented secret that caused such discussion that a small internet event in a fan community would still maintain vestiges of the discussion on the internet after eight years?" she lamented in 2007. And yet, here we are, still talking about it. The internet never forgets (the silliest, most easily provable false ridiculous crap). 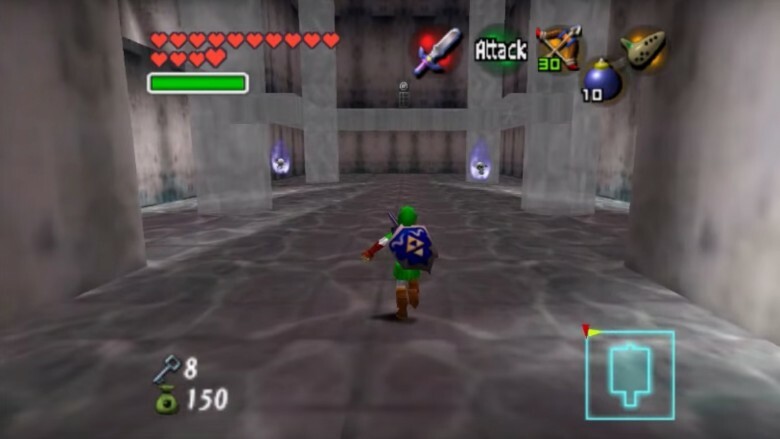 So here's one more thing to not forget: no matter how nice it sounds, and no matter how sure you are that you can find it, Ocarina has NO Sky Temple. The Legend of Zelda, being the open-world game series it is, can easily convince you that any building is available for entrance, whether the owner wants you there or not. So it feels strange when there is a door that you just can't enter, not even with bombs. This is logic that works in the Zelda universe, by the way — not our own. The home of Fado from Twilight Princess is exactly such a door. One thing gamers hate more than waiting three hours for an update to download, is a door they aren't allowed to enter. This led to all sorts of rumors and tips until someone stepped up and cheated his way into Fado's home. Well, it's not really a home — it's more of a meaningless, unfathomable darkness from which Link cannot escape as the door's locked from the inside as well. 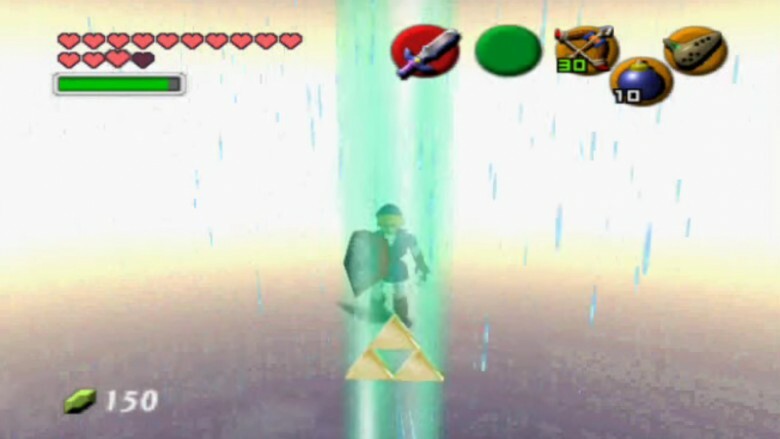 Nothing was there, nothing was ever there, and now Link gets to spend eternity stuck in the pitch-black emptiness. All because you couldn't take "no" for an answer. You … um, don't need to open every door. It's ok. Find something else to do. Go fishing. Link likes fishing. This one is kind of understandable to the sort of masochistic fans that actually sign up to play the beta-testing version of a game. 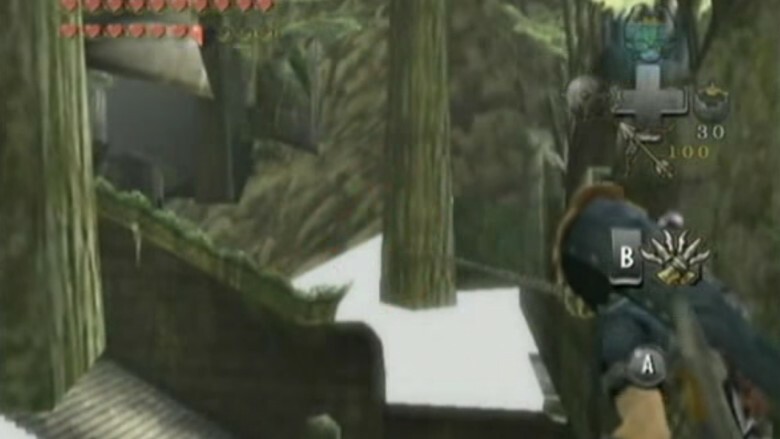 In the beta version of Twilight Princess, there was a forest scene that seemed pretty interesting. Unfortunately, it was abandoned during beta testing, not unlike how one abandons their rad vaping smoke-ring blog when they get approved for grad school. Footage of the Beta Forest (they called it this for a reason) still leads to certain types tying to find it, fighting for that lost glory of sorts, but all their hacking just leads to an ultimately pointless, shuttered part of the game. Relax, dude. Blow some smoke rings for old-times sake, and remember that not every glitch is a game hint.